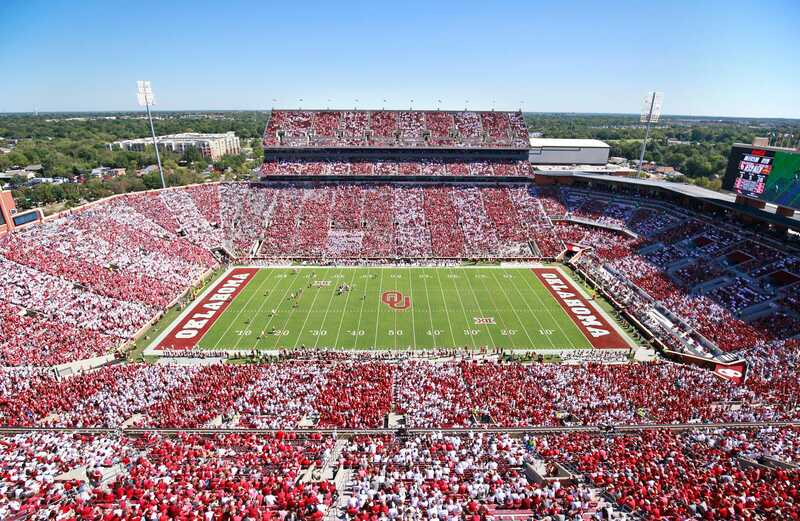 The world is home to some truly gigantic sports venues, covering much-loved sports like football, soccer, and rugby. To work out which non-racing stadium is king, we have collected official crowd capacity data from the venues to produce a power ranking based on their size as of March 2018. 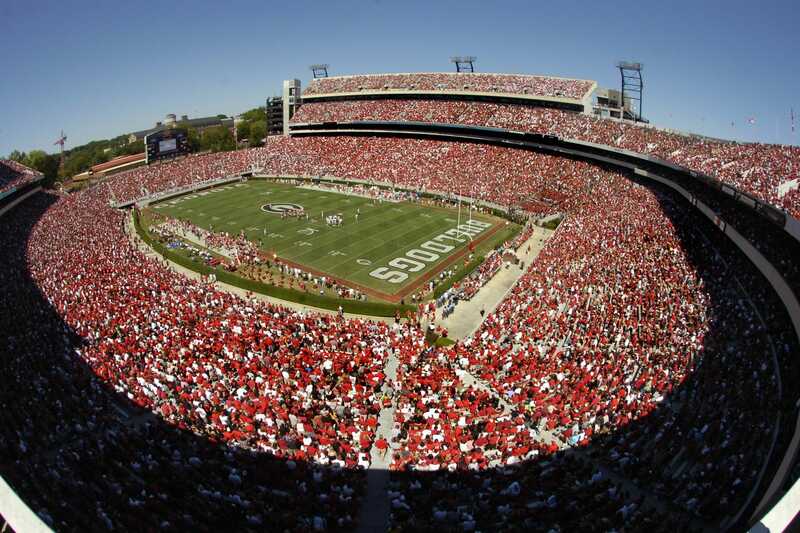 When it comes to game day, it is fair to say these stadiums can become as heavily-populated as small cities. Scroll down for the world’s big 30. Home team: England national rugby union team. 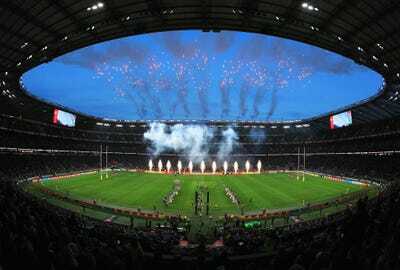 Twickenham has been around since 1907 and has grown into the second-largest stadium in the UK, and the fourth-largest in Europe. 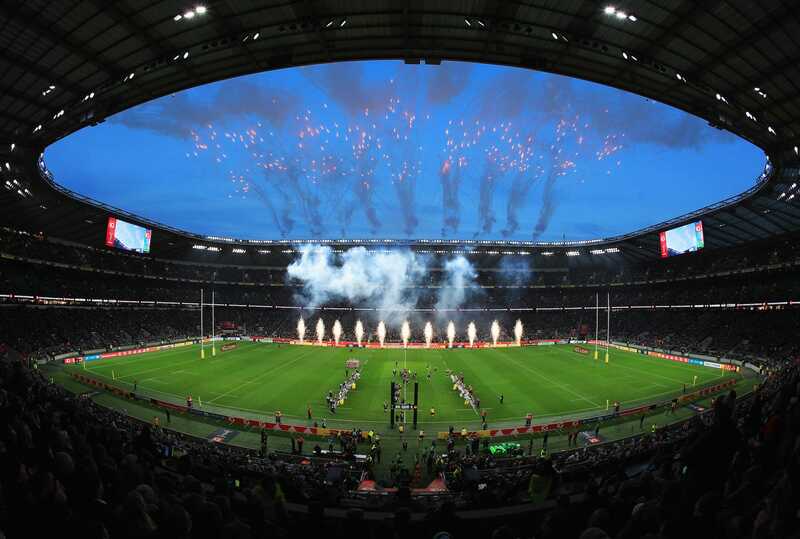 It has hosted Rugby World Cup games for the 1991, 1999, and 2015 tournaments. It is also a prime music venue. 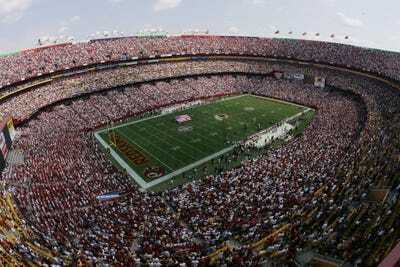 Home team: Washington Redskins (NFL). 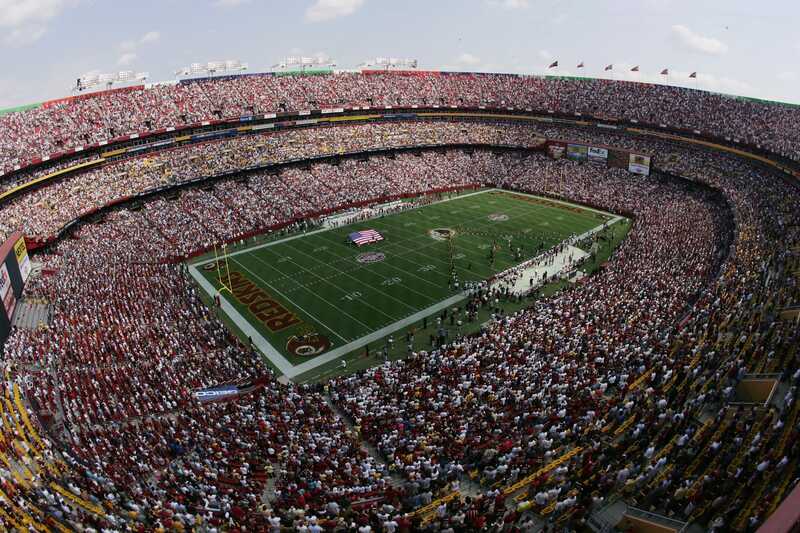 NFL franchise Washington Redskins has played its home games at FedExField since 1997, but the stadium has also hosted concerts for The Rolling Stones, U2, and Taylor Swift. Tenant: Gaelic Athletic Association (GAA). 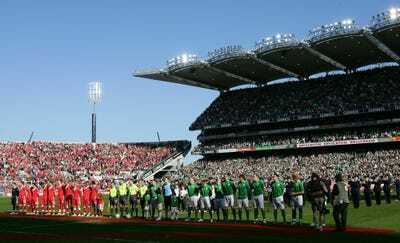 Croke Park is known as the home of gaelic football, the Gaelic games, and hurling. Home teams: New York Giants and the New York Jets (both NFL). MetLife, an insurance company in New York City, bought the naming rights for the stadium in 2011, shortly after the venue was constructed at a cost of $US1.6 billion. 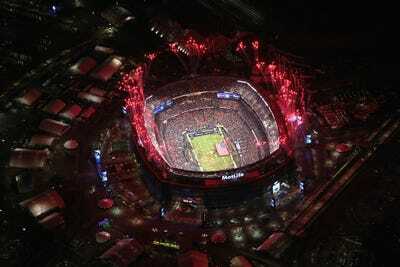 It has hosted the Super Bowl, WrestleMania, and popular music artists like Bruce Springsteen, Beyoncé and Jay-Z, and Guns N’ Roses. Home team: New South Wales Blues (rugby league). Built specifically for the 2000 Summer Olympics, the ANZ Stadium – or Stadium Australia – remains a multi-sport venue having hosted rugby league, rugby union, soccer, cricket, and motor sports. Home team: Indian national football team (soccer). The Salt Lake Stadium is the biggest stadium in India by seating capacity and has hosted major youth soccer tournaments like the 2017 FIFA Under-17 World Cup. 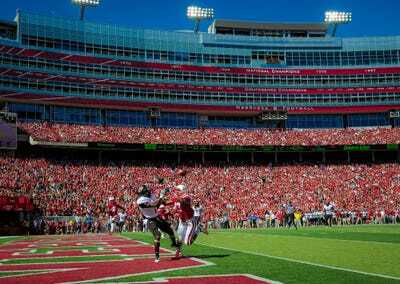 Home team: Nebraska Cornhuskers (college football). 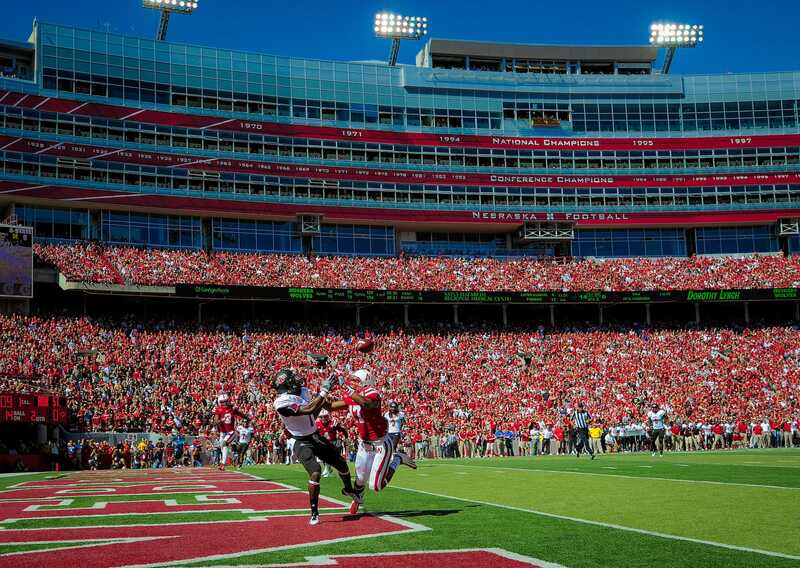 Known as the “Sellout King,” the Memorial Stadium and Cornhuskers have a sellout streak that dates back to 1962. This is where every ticket for each event is sold. Home team: Egypt national football team (soccer). The stadium was originally commissioned to be a part of Egypt’s bid to host the 2010 FIFA World Cup, which was eventually awarded to South Africa. It was built by the Egyptian Armed Forces Corps of Engineers. 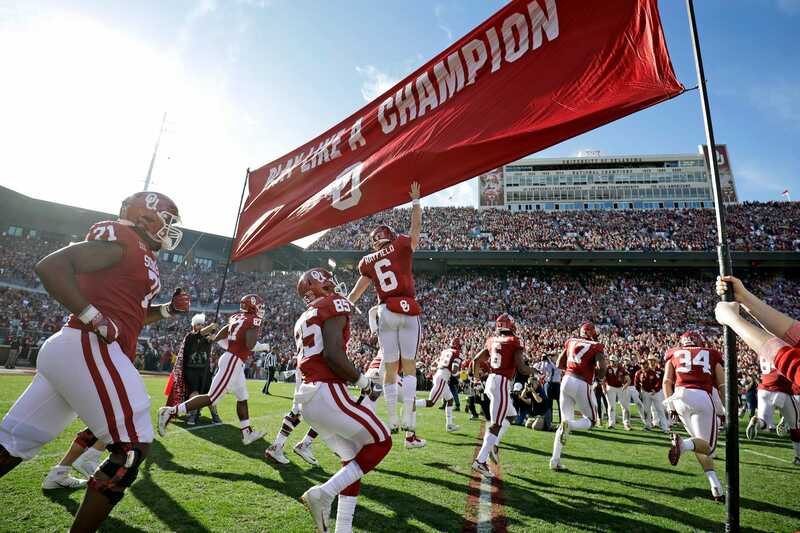 Home team: Oklahoma Sooners (college football). 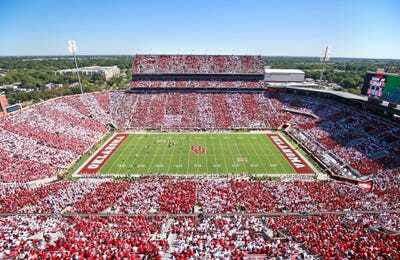 First opened in 1923 at a cost of $US293,000, the Oklahoma Memorial Stadium has undergone numerous renovations and expansions with a further $US125 million put to good use. Home teams: Mexico national football team and Club América (both soccer). 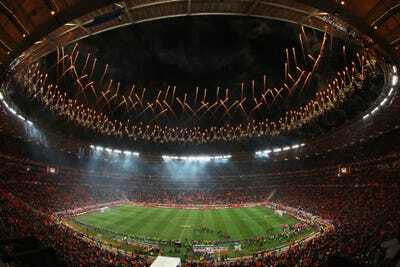 The largest stadium in Mexico, the Estadio Azteca has hosted the 1970 and 1986 FIFA World Cup finals. 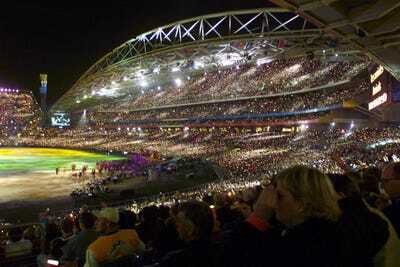 It was also one of the host stadiums for the 1968 Summer Olympics, has welcomed musicians like Paul McCartney and U2, and has been a venue for religious events and funeral services. Home team: Malaysia national football team (soccer). 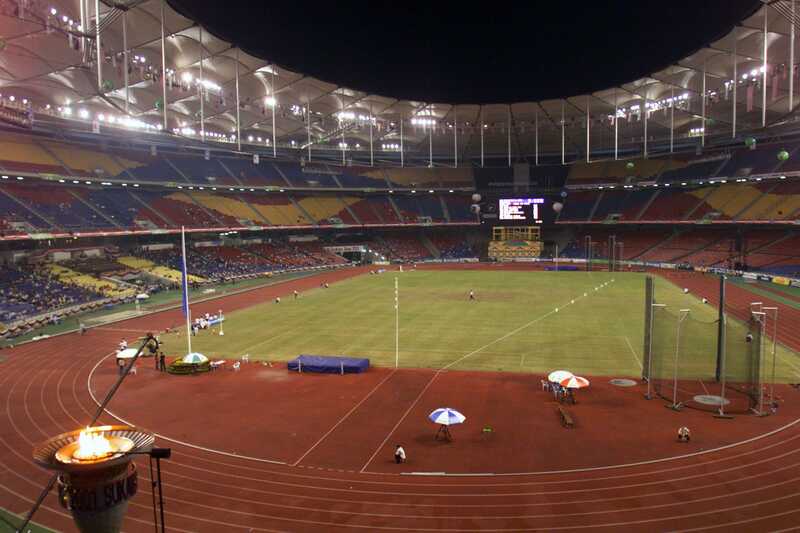 The Bukit Jalil National Stadium is the largest in Southeast Asia and has hosted multi-sport events like the Southeast Asian Games. 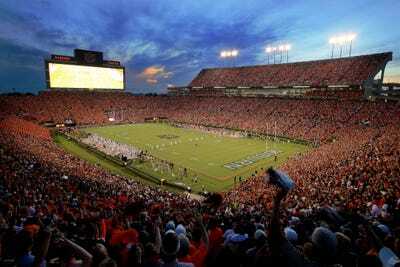 Home team: Auburn Tigers (college football). 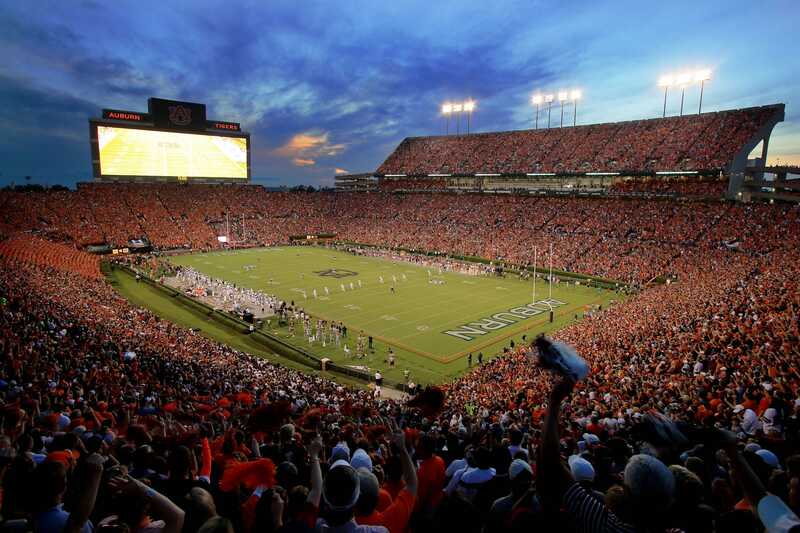 The stadium is named after two influential Auburn University sports figures – Ralph “Shug” Jordan, who has the most wins as head coach, and Cliff Hare, a former Auburn Tigers player. 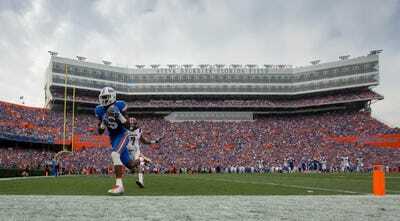 Home team: Florida Gators (college football). 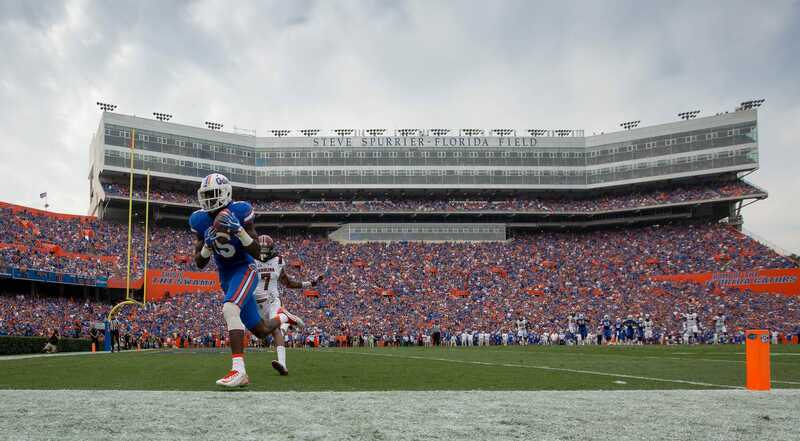 Nicknamed “The Swamp” as it is home to the Gators, the Ben Hill Griffin Stadium gives its college team a peculiar advantage. The stadium is built in a shallow sinkhole, below ground level. The stands are steep, providing fans with seats that are close to the action. These factors trap noise which provides great home support and an intimidating atmosphere for visiting teams. 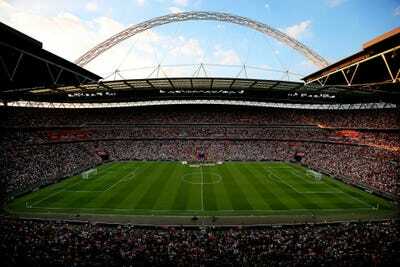 Home team: England national football team (soccer). Distinctive for the its structural arch, which supports around 75% of its roof load, the modern-day Wembley Stadium is the home to the England soccer team. It also hosts other major events like boxing world title fights, NFL games in London, and music concerts for artists like Foo Fighters, Oasis, and Take That. 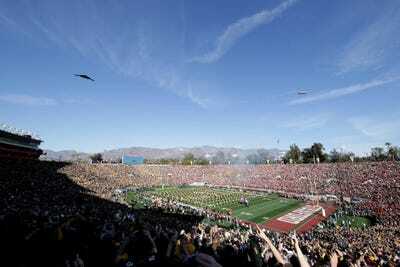 Home team: UCLA Bruins (college football). 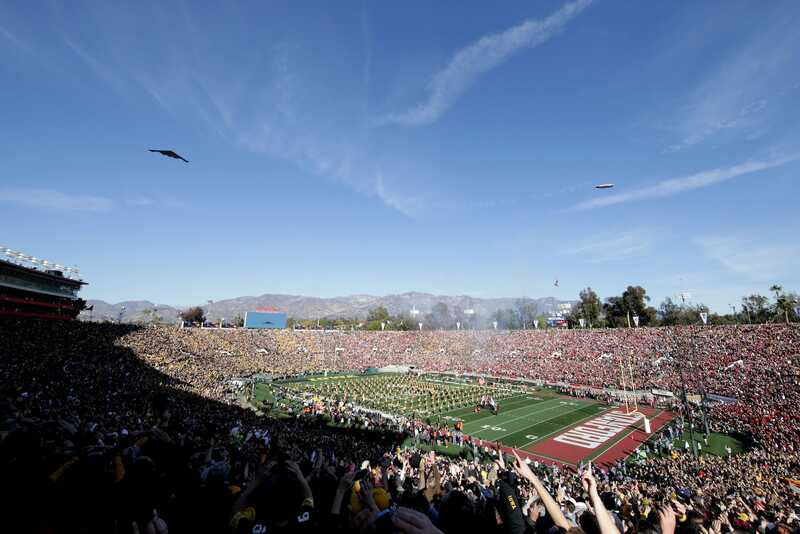 The Rose Bowl is not just a college football stadium. 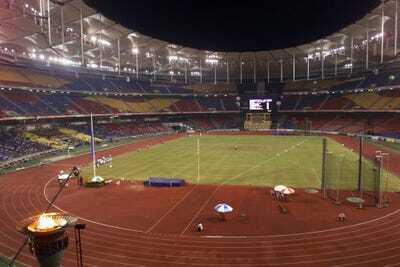 It has hosted the 1984 Olympic gold medal match in soccer, the 1994 FIFA World Cup final, and five Super Bowl games. Tenant: Dallas Independent School District. 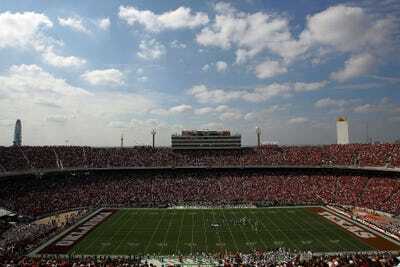 MLS club FC Dallas and NFL team Dallas Cowboys have played their home games at Cotton Bowl in the past, but the stadium now hosts matches like the Red River Showdown, the Heart of Dallas Bowl, and the State Fair Classic. 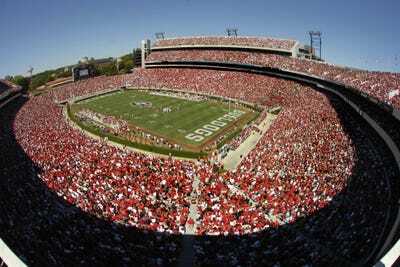 Home team: Georgia Bulldogs (college football). 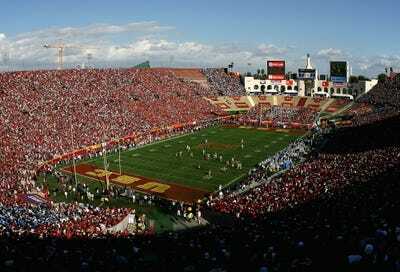 Home team: USC Trojans (college football). 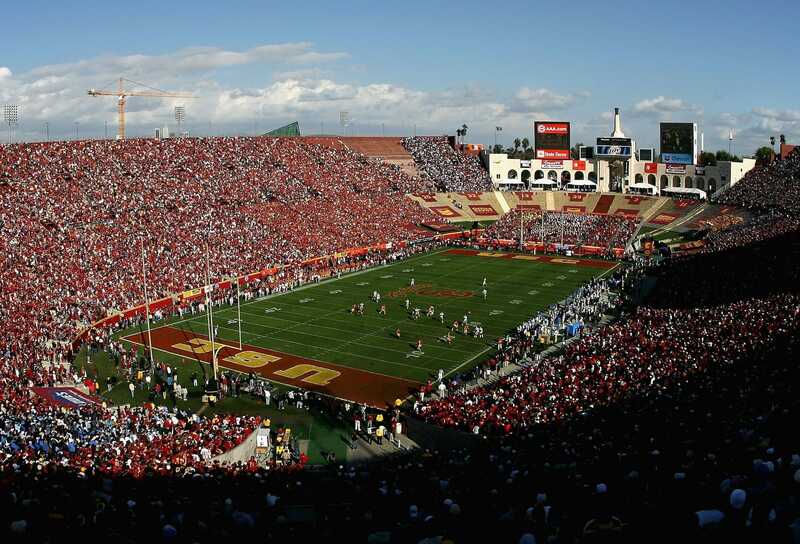 The Los Angeles Memorial Coliseum is steeped in sporting history. It hosted the Summer Olympics in 1932 and 1984 and will also be a host venue for the 2028 Summer Olympics. MLB team Los Angeles Dodgers and NFL side Los Angeles Rams have played there in the past. Home team: South Africa national football team and Kaizer Chiefs (soccer). Built in 1989 and widely used as a soccer stadium, Soccer City – or FNB Stadium for sponsorship purposes – was also the site of Nelson Mandela’s first speech in Johannesburg following his release from prison in 1990. After Mandela’s death in 2013, a memorial service was held for him at the venue. Home team: FC Barcelona (soccer). 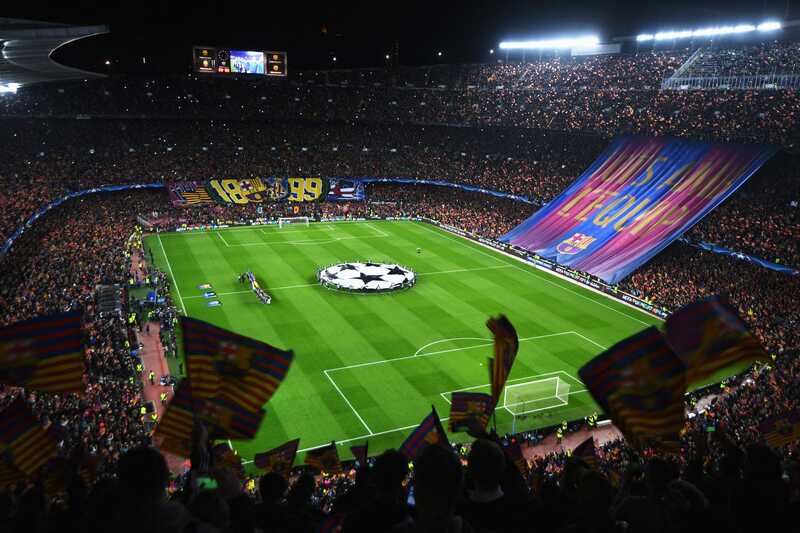 The Camp Nou, the largest stadium in Europe, is famous for being home to FC Barcelona, one of the best soccer teams in the world, and by extension, Lionel Messi, one of the best players on the planet. 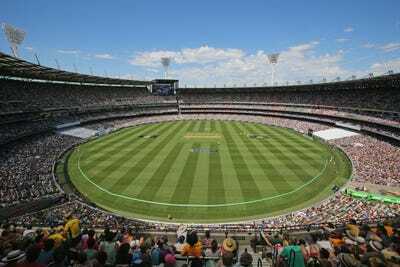 Home team: Melbourne Cricket Club (cricket). 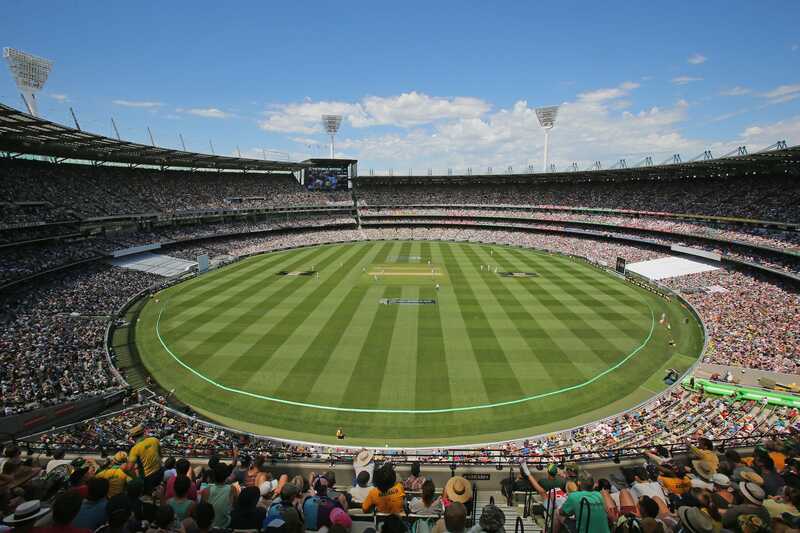 The Melbourne Cricket Ground, simply called “The G,” has a long and illustrious history. Built in 1853, it has hosted the 1956 Summer Olympics, the 2006 Commonwealth Games, and two Cricket World Cups (1992 and 2015). 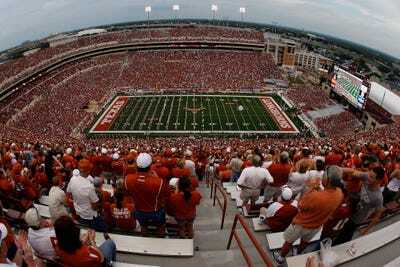 Home team: Texas Longhorns (college football). The Memorial Stadium opened in 1924 at an initial cost of $US275,000 but has undergone major renovations over the years. For instance, the Godzillatron – a 7,370 square foot LED scoreboard – was installed in 2006. 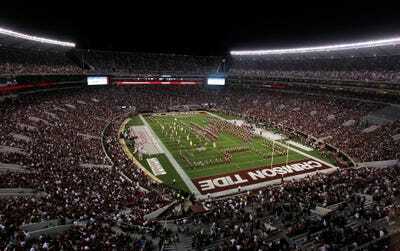 Home team: Alabama Crimson Tide (college football). 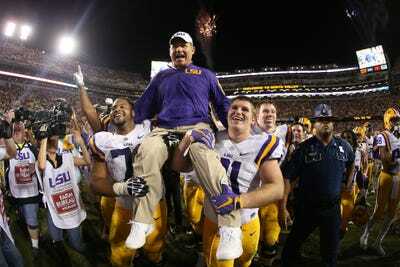 Home team: LSU Tigers (college football). The raucous atmosphere generated by home fans means the Tiger Stadium can be one of the loudest and most intimidating venues for opposing teams. Home team: Tennessee Volunteers (college football). 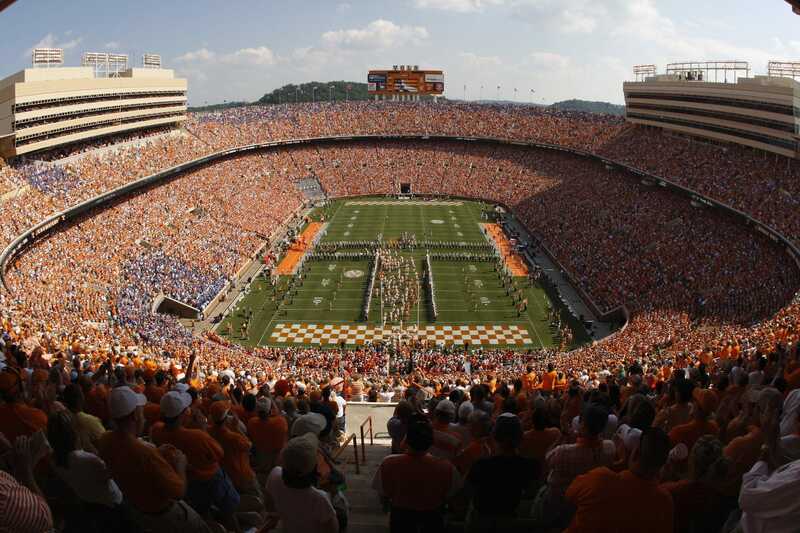 The Tennessee Volunteers has called the Neyland Stadium its home since 1921, when the ground was constructed at an initial cost of $US42,000. It has also hosted concerts, political rallies, and religious gatherings. Home team: Texas A&M Aggies (college football). 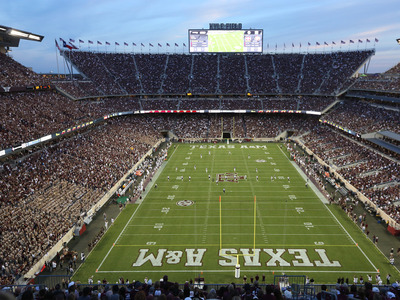 Kyle Field has been used as an athletic ground since 1904, when wooden bleachers were erected to seat 500 people, but the capacity has grown significantly over the years. Home team: Ohio State Buckeyes (college football). 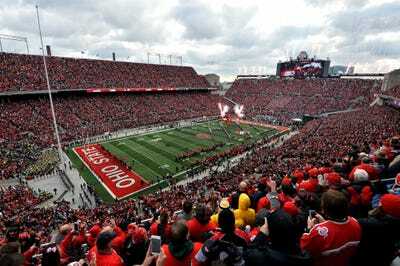 The Ohio Stadium – also known as “the Horseshoe” – hosted MLS team Columbus Crew from 1996 to 1998. 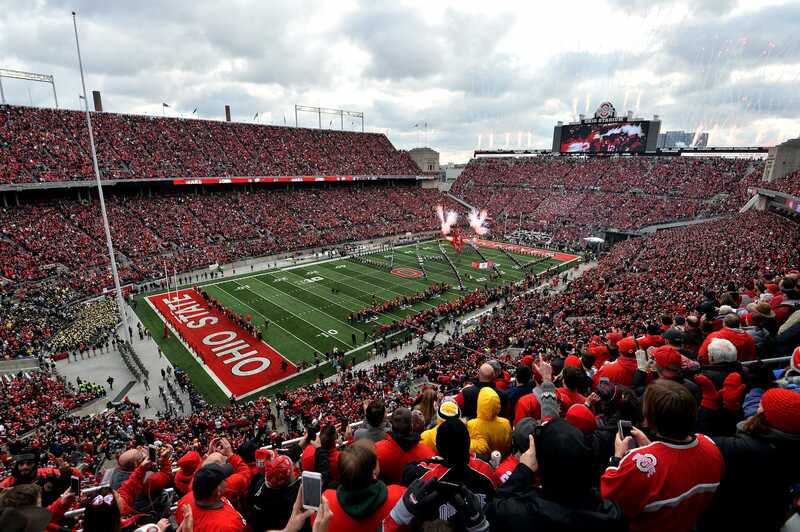 Bands like The Rolling Stones, and Metallica have played at “the Shoe” but its main occupant is the Ohio State Buckeyes football team. 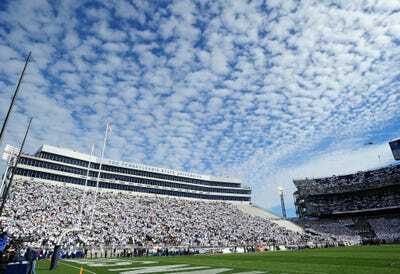 Home team: Penn State Nittany Lions. Beaver Stadium in Pennsylvania may be third in this list for now – but it won’t stay here for long. The stadium is antiquated, has outdated plumbing, and requires renovation. Modernisation plans will reduce the capacity to 103,000 in the coming decade. Home team: Michigan Wolverines (college football). 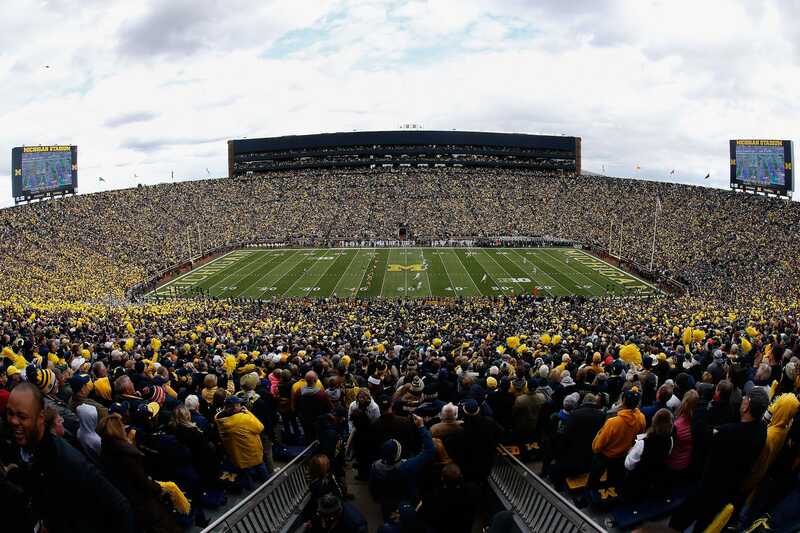 With a capacity close to 110,000, it’s easy to see why the Michigan Stadium is known colloquially as “The Big House.” Originally built in 1927 at a cost of $US950,000, it has grown steadily from its initial capacity of 72,000, into the largest stadium in the US at 107,601. Since 1989 the May Day Stadium has been used to celebrate former North Korea leader Kim Il Sung, the North Korean nation in general, and sporting events like wrestling and long-distance running. It originally sat 150,000 people but it has since become an all-seater ground which means its current capacity is now 114,000, according to The Daily Telegraph. *The North Korea football team also plays at the Kim Il Sung Stadium in Pyongyang.